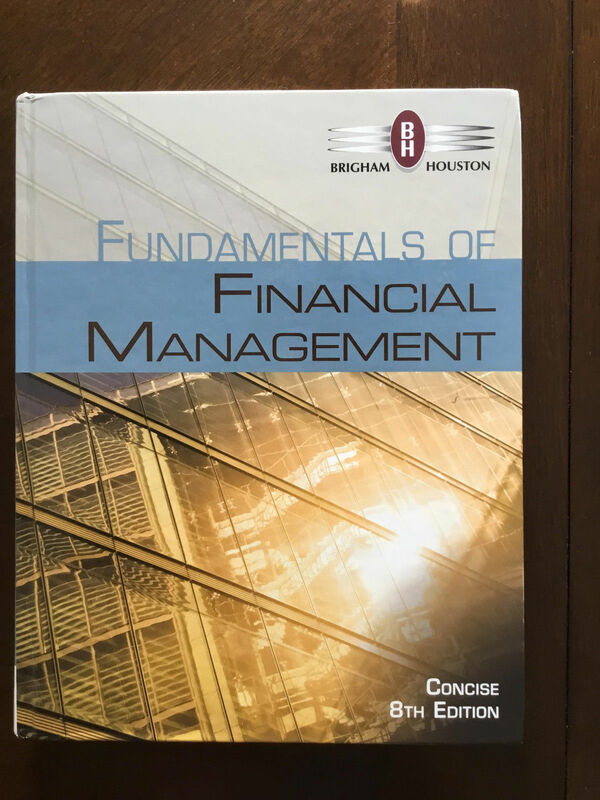 Gain a focused understanding of today’s corporate finance and financial management with the market-leading approach in Brigham/Houston’s FUNDAMENTALS OF FINANCIAL MANAGEMENT, CONCISE EDITION, 8E. This book’s unique balance of clear concepts, contemporary theory, and practical applications helps readers better understand the concepts and reasons behind corporate budgeting, financing, and working capital decision making. Numerous practical examples, proven end-of-chapter applications, and Integrated Cases demonstrate theory in action, while Excel� Spreadsheet Models help readers master this software tool. It’s a book designed to put each reader first in finance. PART I: INTRODUCTION TO FINANCIAL MANAGEMENT.1. An Overview of Financial Management.2. Financial Markets and Institutions.PART II: FUNDAMENTAL CONCEPTS IN FINANCIAL MANAGEMENT.3. Financial Statements, Cash Flow, and Taxes.4. Analysis of Financial Statements.Web Appendix 4A: Common Size and Percent Change Analyses.5. Time Value of Money.Web Appendix 5A: Continuous Compounding and Discounting. Web Appendix 5B: Growing Annuities.PART III: FINANCIAL ASSETS.6. Interest Rates.7. Bonds and Their Valuation.Web Appendix 7A: Zero Coupon Bonds. Web Appendix 7B: Bond Risk and Duration. Web Appendix 7C: Bankruptcy and Reorganization.8. Risk and Rates of Return.Web Appendix 8A: Calculating Beta Coefficients.9. Stocks and Their Valuation.Appendix 9A: Stock Market Equilibrium.PART IV: INVESTING IN LONG-TERM ASSETS: CAPITAL BUDGETING.10. The Cost of Capital.Web Appendix 10A: The Cost of New Common Stock and WACC.11. The Basics of Capital Budgeting.12. Cash Flow Estimation and Risk Analysis.Appendix 12A: Tax Depreciation.Web Appendix 12B: Refunding Operations. Web Appendix 12C: Using the CAPM to Estimate the Risk-Adjusted Cost of Capital. Web Appendix 12D: Techniques for Measuring Beta Risk.Web Appendix 12E: Comparing Mutually Exclusive Projects with Unequal Lives. Web Appendix 12F: Real Options: Investment Timing, Growth, and Flexibility.PART V: CAPITAL STRUCTURE AND DIVIDEND POLICY.13. Capital Structure and Leverage.Web Appendix 13A: Degree of Leverage.14. Distributions to Shareholders: Dividends and Share Repurchases.Web Appendix 14A: An Example: The Residual Dividend Model.PART VI: WORKING CAPITAL MANAGEMENT, FORECASTING, AND MULTINATIONAL FINANCIAL MANAGEMENT.15. Working Capital Management.Web Appendix 15A: Inventory Management. Web Appendix 15B: Short-Term Loans and Bank Financing.16. Financial Planning and Forecasting.Web Appendix 16A: Forecasting Financial Requirements When Financial Ratios Change.17. Multinational Financial Management.PART VII: Special Topics in Financial Management18. Derivatives and Risk Management.Appendix 18A: Valuation of Put Options19. Multinational Financial Management.20. Hybrid Financing: Preferred Stock, Leasing, Warrants, and Convertibles.21. Mergers and Acquisitions.Web Appendix 21A: Merger Regulation. Web Appendix 21B: Holding Companies.APPENDIX A: Solutions to Self-Test Questions and Problems. APPENDIX B: Answers to Selected End-of-Chapter Problems. APPENDIX C: Selected Equations and Tables.